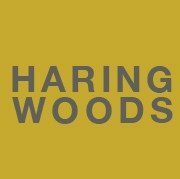 Over ten years, (1996 – 2006) working with officers of the Department of Leisure & Environment and the Leader of the Council, Haring Woods provided freelance strategic communications consultancy, including special events, design and production and presentation and published materials graphics for a wide range of initiatives. Strategic Advisor to the West EndTeam for the redevelopment of Leicester Square. Strategic advisor for the development of Chinatown. Strategic Advisor for the development of al fresco dining in Leicester Square. Producer, director, editor of Westminster’s award-winning competition submissions for LIVCOM, the international awards for Liveable Communities. Producer of the Westminster Gala, an evening variety performance showcasing the best of professional and community performance by companies in and funded by Westminster.